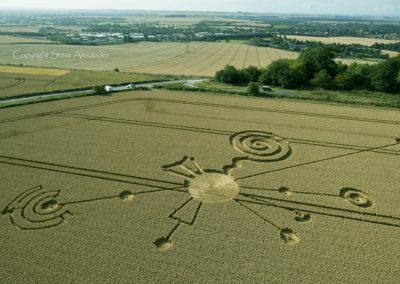 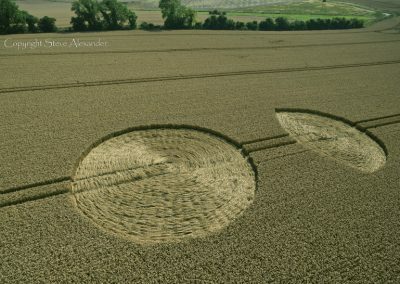 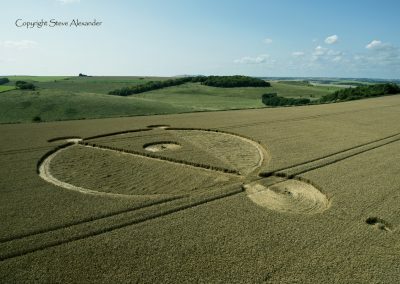 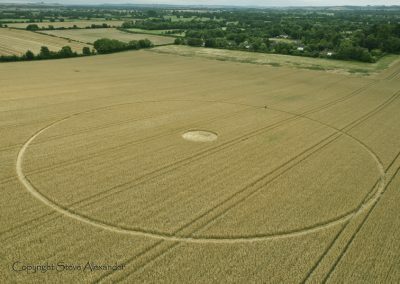 The 2014 crop circle season saw a quiet renaissance for the phenomenon. 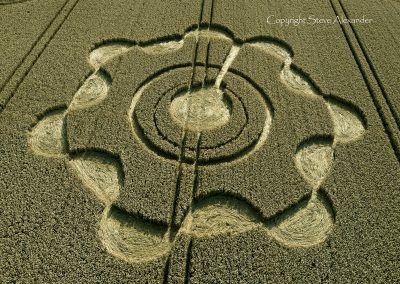 As if to signal the beginning of a new phase, the circles burst their usual geographic boundaries with wonderful formations spread out all over the UK: Wiltshire, Hampshire, Dorset, Warwickshire & Sussex. 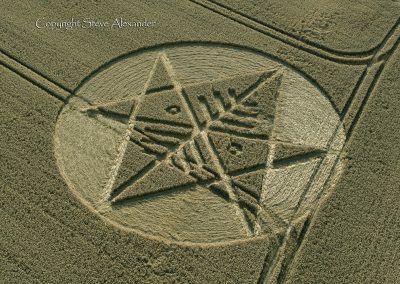 It was a beautiful and thought-provoking season, measured, considered, detailed and at times almost prayerful. 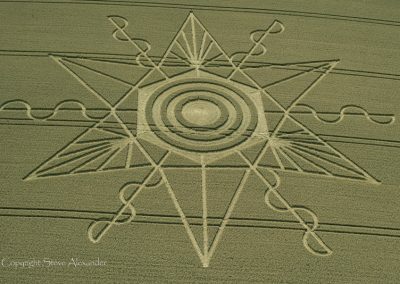 As if to emphasise this deepening of tone, several of the formations displayed exquisite interiors with patterns and geometry woven into the floor-lay, rather than expressed in flattened and standing crop. 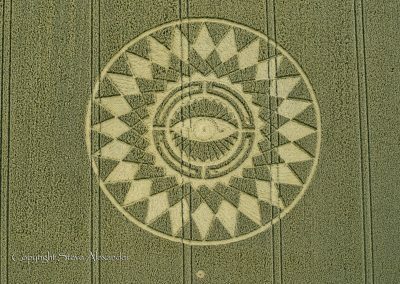 This move to the ‘inner’ and ‘internal’ seemed to convey a quiet, spiritual and introspective mood. 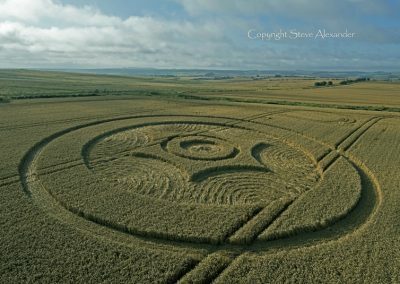 The year was also punctuated by some utterly stunning formations, huge, powerful, magical sigils in the crop. 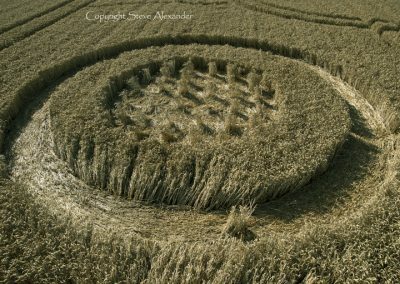 The 2014 season showed us the power, depth and breadth of the phenomenon, from the small and exquisite, to the majesty and mastery of some of the years show stoppers. 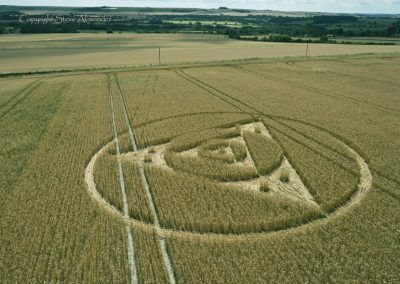 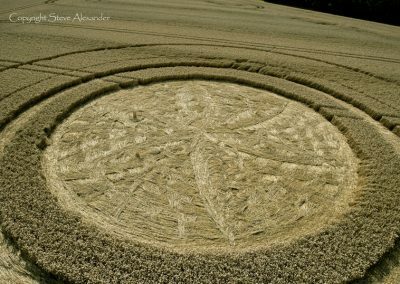 Our Crop Circle Year Book 2014 contains many images from this gallery with commentary text and beautiful drawings – get your copy here.